Hey everyone one. 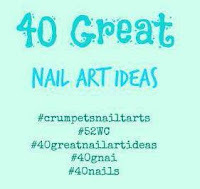 It's time for another 40 Great Nail Art Ideas mani. Geez these weeks are just rolling on by! I can't believe it's Australia Day on Tuesday and I haven't prepared any new Australia Day nails. I'm going to have to do a rehash post this year I think. Especially as we are going out of town for an extra long weekend, leaving tomorrow. I just packed up a little nail bag to take with me. Can you beleive I limited myself to only three polishes for while I'm away for 4 days! Onto today's art. 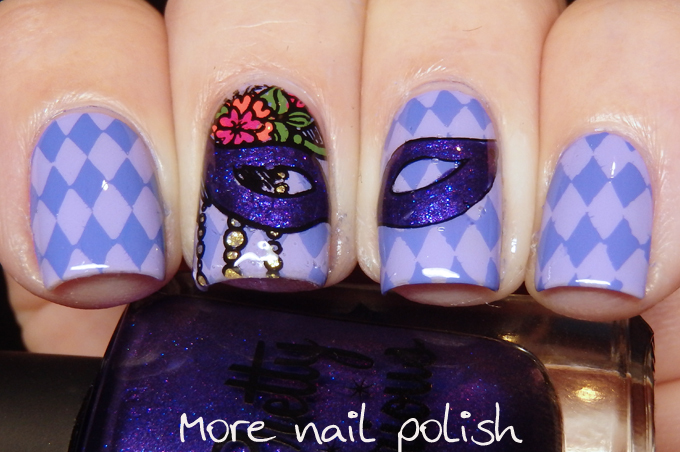 The theme for this week is three shades of purple, and my individual prompt was pattern on pattern. Oh how I struggled with this one! I did attempt some stamping with two designs stamped on on top of each other, but it looked terrible and I didn't even take photos of it, Then I saw this plate from Messy Mansion and I finally got an idea. 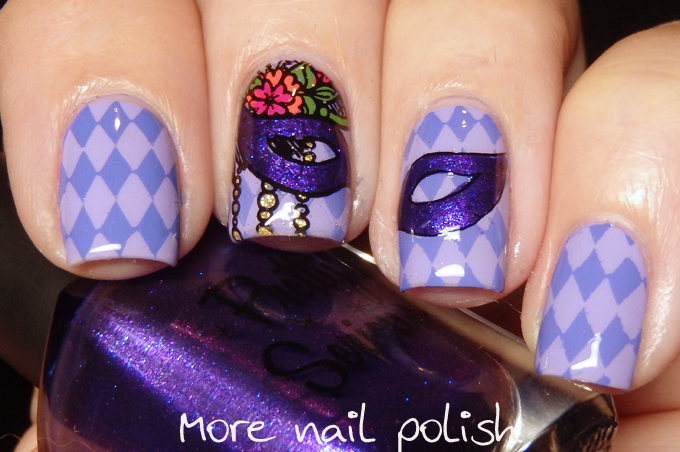 My pattern on pattern is the harlequin pattern base and then the eye mask decal. I know calling the mask a pattern is a little bit of a stretch, but it's all up to our own interpretation. Right? 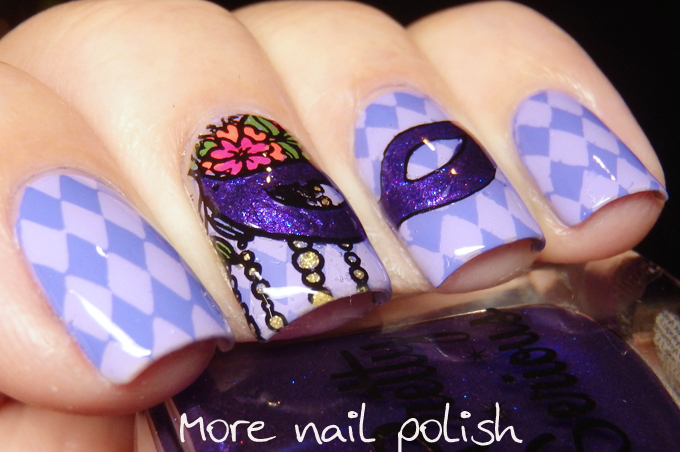 My base polish is Picture Polish Wisteria (original version) and the stamping is with a purple Mundo de Unas polish. The purple in the mask is coloured in with Pretty Serious Poltergeist Puddle. woow i love your design. Big Hug. 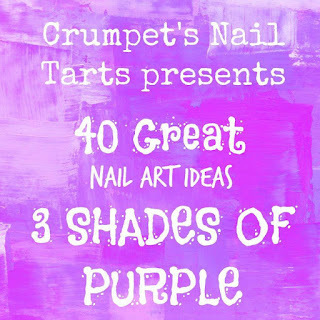 Oh my, this must be my favourite mani for this prompt! I love that decal! 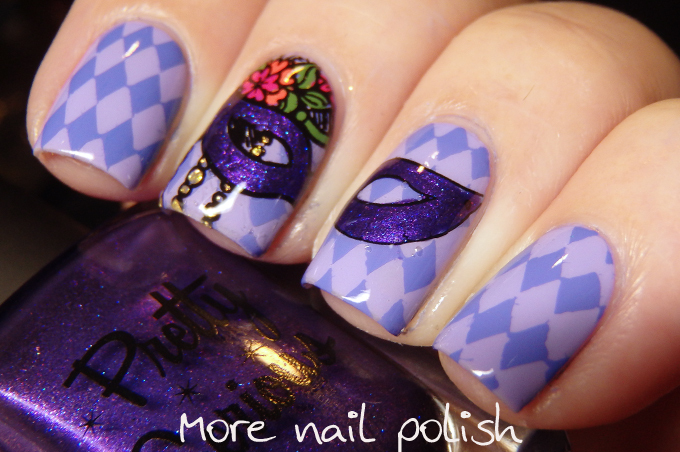 This is a really pretty look! Super creative and very well done!